It is intense. It is disturbing. It is filled with images and content that depict some of the worse in human nature. It is also brilliant. It includes some of the best writing on the big screen in years. It has an ensemble of some of the best performances by actors we have seen in a long time. It is a film that will keep you thinking and talking after you leave the theater. It is called the Paperboy. I don’t know where to start. The film is riveting. You can physically feel the undercurrent of dysfunctional insanity that permeates against a backdrop of swampy 1969 humid racist Floridian southern scenery. There is intrigue about unsolved murder mixed with lust and new found love thorned with dark secrets. It was like seeing a great novel unwrapped live in front of you. The story centers on two brothers played by Matthew McConaughey and Zac Efron whose father runs a local paper in a racist town in Florida. Matthew McConaughey returns as a reporter from Miami investigating a case of what he believes to be a wrongfully convicted murderer played by John Cusack. With him is his co-journalist played by David Oyelowo. Nicole Kidman plays John Cusack’s love interest as well as that of Zac Efron. Macy Gray plays the maid . I point out these particular actors because they really brought on award worthy performances. Matthew McConaughey delivered a career defining performance in the character of Ward Jensen. He brings both nuance and layers to a character with secrets, passion, tenacity and vulnerability . Zac Efron also has graduated to true actordom with this role as Jack Jensen. He is very talented and brings a stellar performance. It is award worthy and deserves accolades. Nicole Kidman proves again that she is one of the best actresses that we have on the planet. Her depiction of Charlotte Bless is unforgettable. David Oyelowo is spot on as the very ambitious and proud black professional operating in racist America. Macy Gray was my biggest surprise. She is a great actress. I absolutely loved her in this movie. Her Anita Chester was the glue that tied the story together. She deserves awards and praise. My final praise is for the brilliant , amazing and wonderful John Cusack. He is so creepy in this movie. He has a created a character so layered and so despicable and yet human in the person of Hillary Van Wetter. 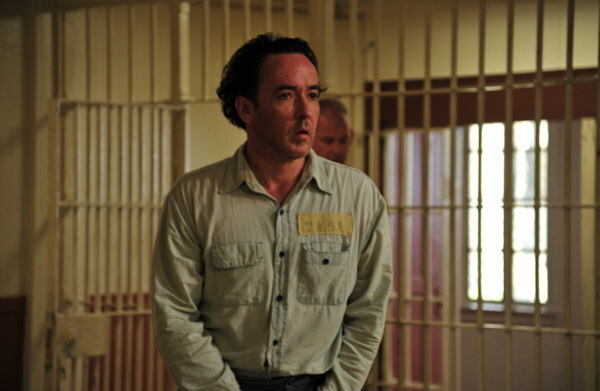 Only Cusack could deliver another career defining performance. Amazing work! This is film not for the faint hearted. It is for those who love film as an art form. It is entertaining but The Paperboy is truly a tribute to the best in movie making. Go see it.